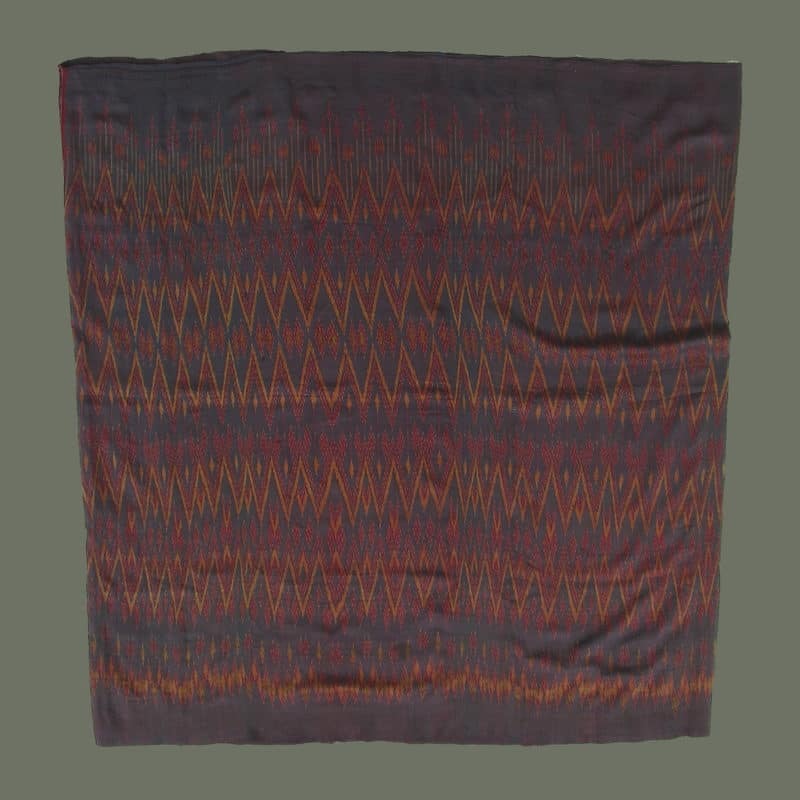 Beautifully woven, this fine natural cotton blanket/wrap from Uthai Thani uses traditional Lao Krang design motifs in supplementary weft. 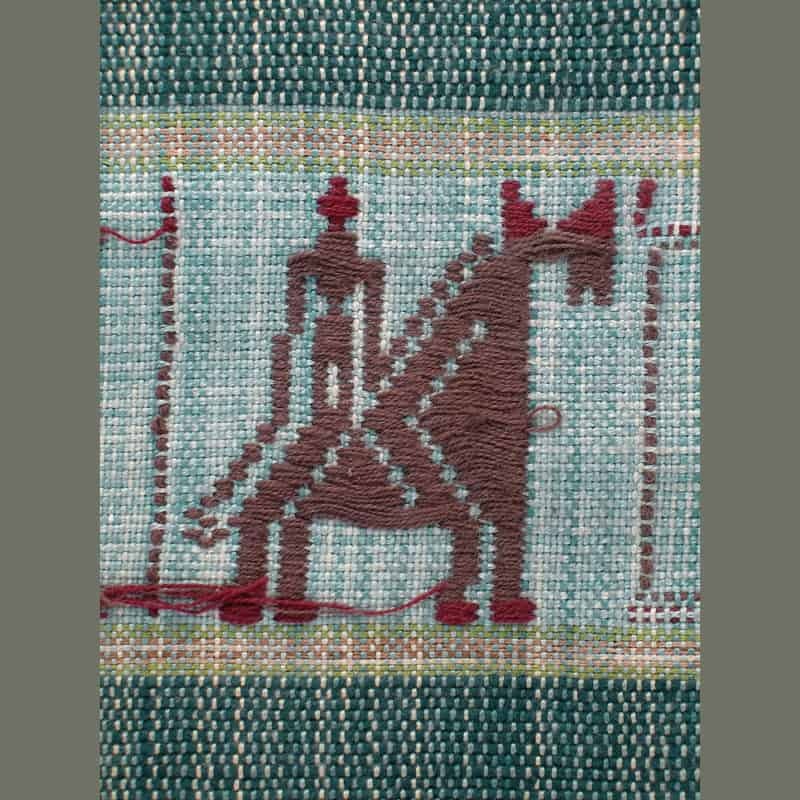 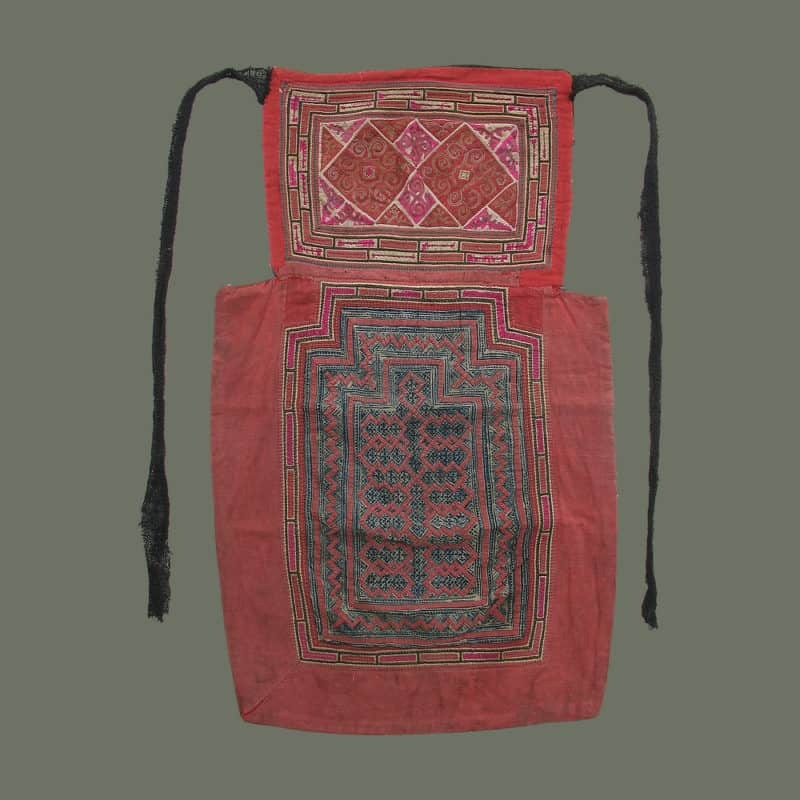 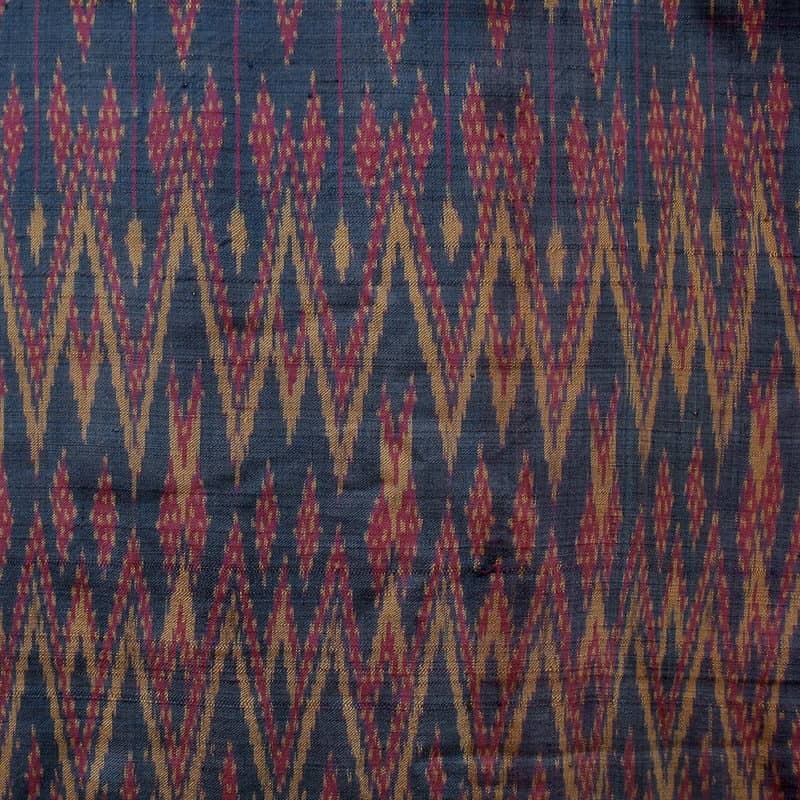 However, unlike their traditional blankets, which are colored with synthetic colors, this is colored with natural dyes in pleasing, harmonious hues. 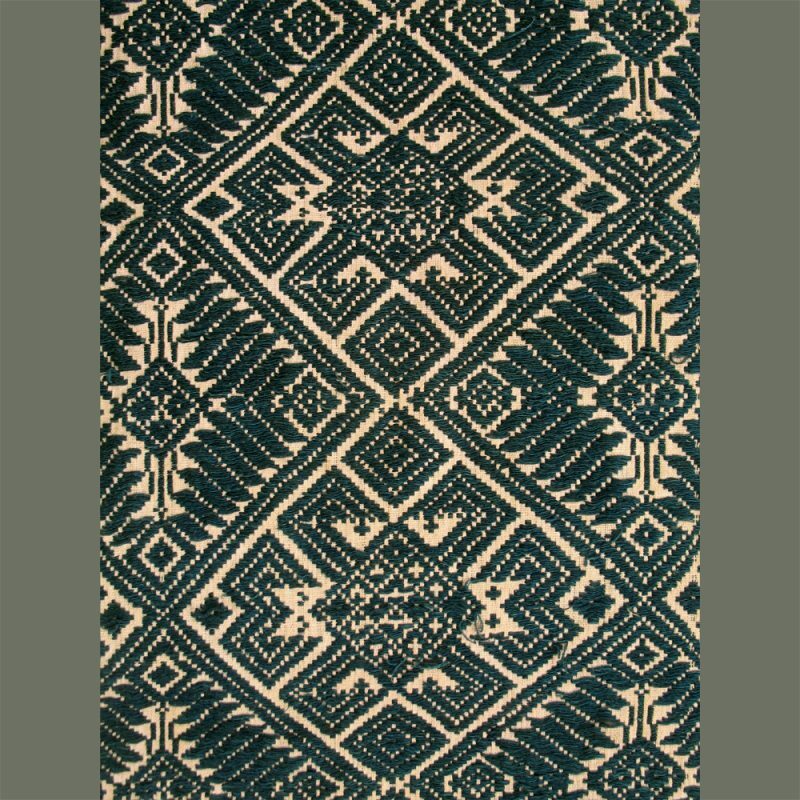 Comprising two panels, it has a central field which is bordered with fine zigzags and diamonds on the edges and complex bands of stylized nagas on each end. 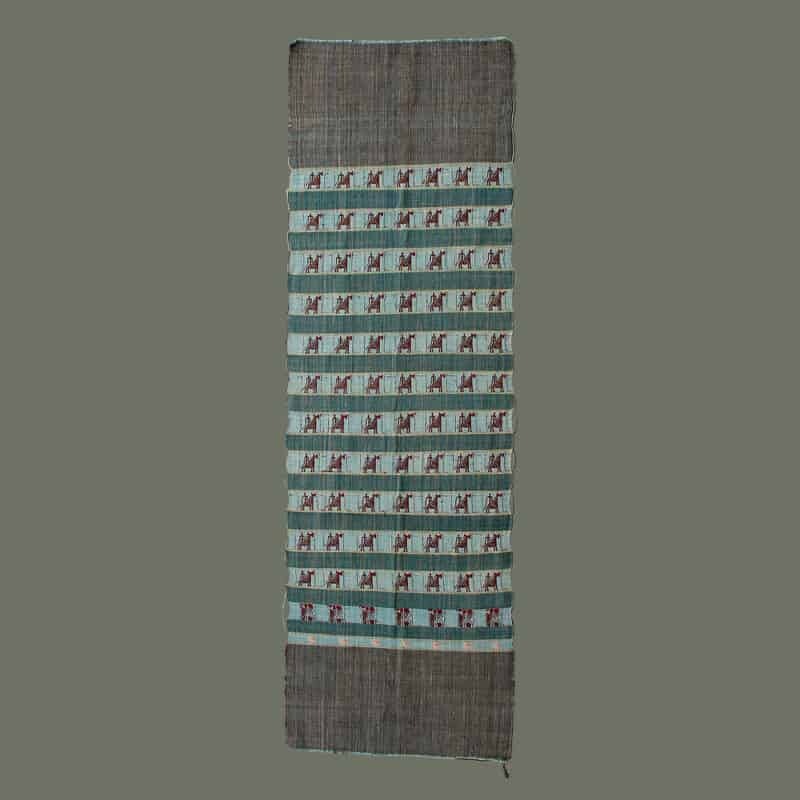 The seam down the middle is charmingly handsewn in a blanket stitch in alternating colors and bound in white cotton.